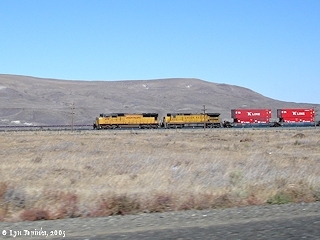 Click image to enlarge Union Pacific and Alder Ridge, Washington. 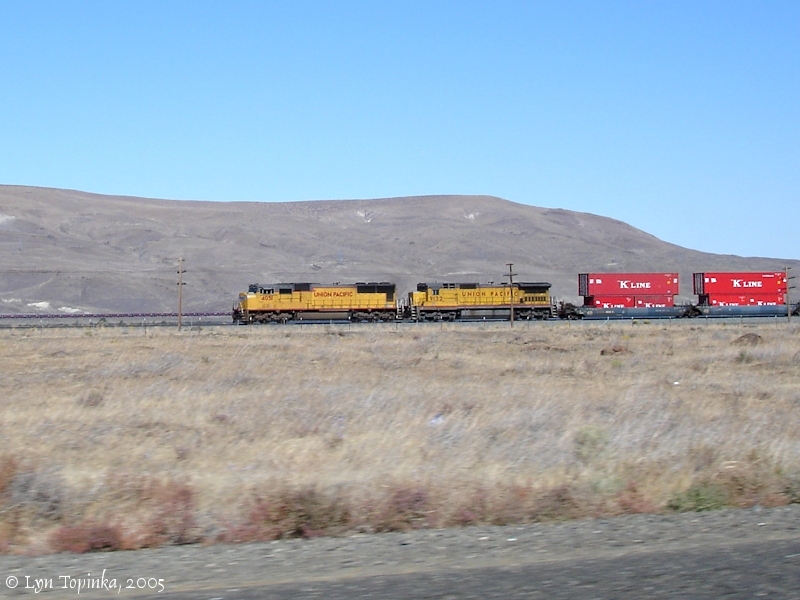 View from Interstate 84, Oregon. Image taken September 24, 2005. 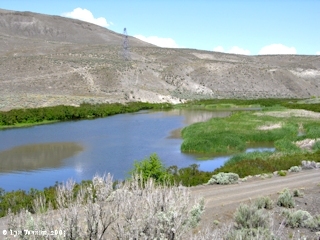 Alder Ridge stretches nearly 10 miles on the Washington bank of the Columbia River, with Alder Creek (Columbia River Mile 258.5) being on its eastern edge and Pine Creek (Columbia River Mile 250) being on its western end. On the ridge's north side winds Sixprong Creek. Lewis and Clark camped on the right bank (western bank) of Alder Creek in April 1806, on their journey back home. Alder Ridge is a part of the Yakima Fold Belt, a section of lava flows of the Columbia River Basalt Group. 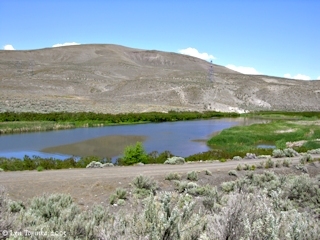 Alder Ridge is a part of the Yakima Fold Belt, a section of lava flows of the Columbia River Basalt Group. Lewis and Clark traversed along the top of Alder Ridge in 1806 and spent the night of April 25, 1806, at the base of Alder Ridge, camped on the western banks of Alder Creek. Click image to enlarge Alder Ridge, Washington, with Alder Creek. Image taken May 24, 2005. Click image to enlarge Alder Creek and Alder Ridge, Washington. Image taken May 24, 2005.